Twenty years of continuous innovation and development at he Folkecenter for Renewable Energy has resulted in a series of advanced an reliable wind turbines ranging from 7 to 525kW called the DANmark series. 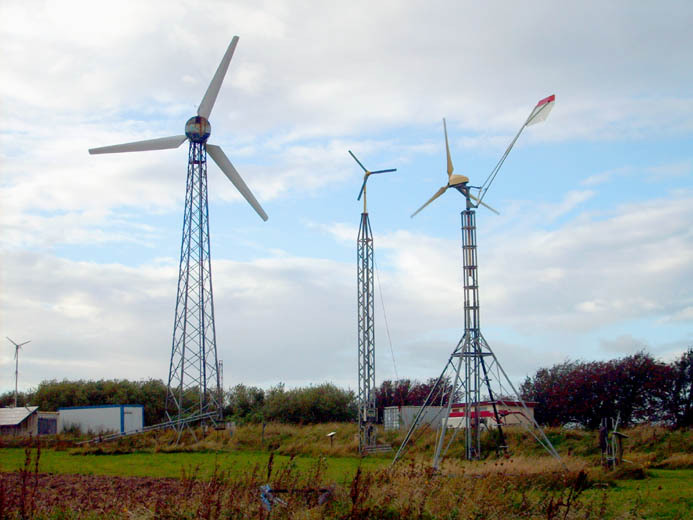 The windmills were approved by the RISØ National Laboratory and have proved their reliability and energy production in operation. Based on the Folkecenter construction manuals, various manufacturers have produced more than 150 units of the DANmark series and a large number of derivatives manufactures by leading manufacturers. For islands or remote locations with limited infrastructure smaller windmills (75kW, 100kW, 150kW) may be preferred. The DANmark 75kW wind turbine installed on the Folkecenter Test Field in 1984 has generated an average of 140 MW/Y since then. Similar windmills have been installed on the island of Fernando de Noronha in Brazil, near Gdansk in Poland and in northern Russia.